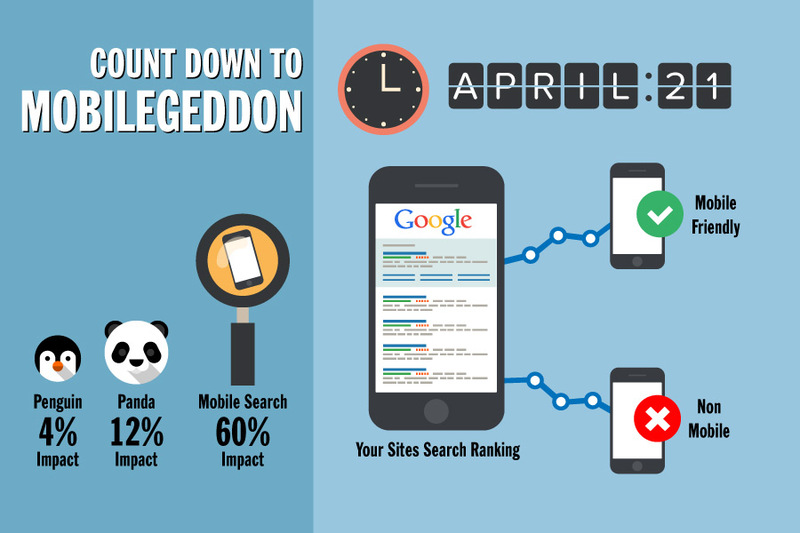 This means we all need to prepare for (cue dramatic music) MOBILEGEDDON! Mobile optimized websites pages are going to be a part of Google’s Ranking Signal and certainly will affect mobile searches after the update rolls out. Google has been encouraging webmasters to get mobile optimized website from years including speed test and responsiveness tests within Google Analytics account. Thanks for the official update, this clearly state “Ranking in mobile search will change April 21st”. So, if you want to continue driving searches to your site, you’ll have to be sure you have a mobile-optimized site. Non mobile sites on the web could see significant decreases in search visibility..and ultimately traffic. There are few ways like getting subdomain, m.domain.com and responsive designs to make your site mobile friendly. Responsive designs have become trend as they don’t require special SEO considerations, but if you have separately hosted mobile version of the site, ensure to utilize canonical tags pointing to the desktop URL for duplicate mobile pages. Don’t use canonical tags on unique mobile content. This should pretty much control duplicate content issues for your mobile version. Check if Google’s bots can crawl your mobile site. You should able to see crawl stat’s within Google’s Webmasters Tool. Check each individual page of your site on a mobile device to ensure responsiveness for user experience. Just because your home page is mobile-friendly doesn’t mean the rest of your site is. Google’s update looks specifically to target better mobile user experience as 60% of the searches being performed on mobile devices. We are not sure about how much impact search results will have, but if you don’t have a mobile optimized website version in place by April 21 (Mobilegeddon), your search visibility could have a serious setback. Mobile viewing is growing each day. Just look around and notice how many are staring down at their phone or tablet. If you want to stay relevant with your customers and keep your hard fought Google Ranking, you have to be sure you have a mobile optimized site to avoid (cue dramatic music) MOBILEGEDDON!